The yearlong mystery surrounding Pittsburgh’s Amazon HQ2 bid has provoked activists, residents and journalists to call for more transparency by local government officials. Pittsburgh Mayor Bill Peduto has bristled at the criticism, promising that any deal with Amazon would go through the typical public vetting process. The high-profile Amazon bid has spurred many questions about the public’s right to information on matters that could acutely impact their lives. But if we sidestep the current situation, it begs the question: How transparent is Pittsburgh in normal times? The short answer seems to be that the local government operates in a fairly transparent way, according to transparency experts, yet there remain frustrating blind spots in information available to residents. The Sunlight Foundation and Open Knowledge Institute currently rank Pittsburgh eighth in the U.S. City Open Data Census, which evaluates nearly 100 cities on how easily financial and civic data can be found online. Five years ago, a survey on transparency in the nation’s 30 largest cities ranked Pittsburgh 10th, classifying it as an “emerging” city for opening its books to residents. Meanwhile, Peduto has continued to champion the release of public data from across government through efforts like Burgh’s Eye View and the Western Pennsylvania Regional Data Center [WPRDC]. Keyva Clark, communication analyst for the City of Pittsburgh, called the Open Data Census a useful tool for benchmarking Pittsburgh’s progress. She expects the city’s score to continue to rise. Notably, Pittsburgh gets credit in the survey for posting employee salaries online, which it does not actually do. The surveys are only a snapshot – ignoring, for instance, how responsive governments are to citizens who request information through open records laws – but they suggest that Pittsburgh does more than many governments to share details on its day-to-day spending, contracting and other draws on taxpayer money. Still, as the city’s financial watchdog Controller Michael Lamb explains, achieving actual transparency is a cumbersome and imperfect process. That’s where Pittsburgh falls short (including in Lamb’s office), particularly for residents seeking details on city contracts, tax breaks for developers or even basic information on how independent authorities like the Urban Redevelopment Authority [URA] or the Pittsburgh Water and Sewer Authority [PWSA] spend the tax dollars they’re allotted. To understand how transparency looks beyond the HQ2 process, we took a closer look at open government best practices, spoke with transparency experts on what they think governments should proactively publish and asked local officials to explain their open government efforts and shortcomings. The Peduto administration did not provide officials for interviews, citing summer vacation and staffing changes, though Clark provided information through email on how the city prioritizes the release of city data through WPRDC and Burgh’s Eye View. On Friday, the city released aggregate data on money earned from auctioning city equipment. Each of the city’s eight authorities provided officials to speak, except for the URA, where a spokesperson also cited scheduling conflicts. In the bottom floors of the City-County Building, Lamb’s office holds a stockpile of decades of Pittsburgh’s financial information. If you were looking for a contract with a vendor — or even a specific check cut by the city — this is where you’d find it. Expecting residents to search by hand is hardly transparency. 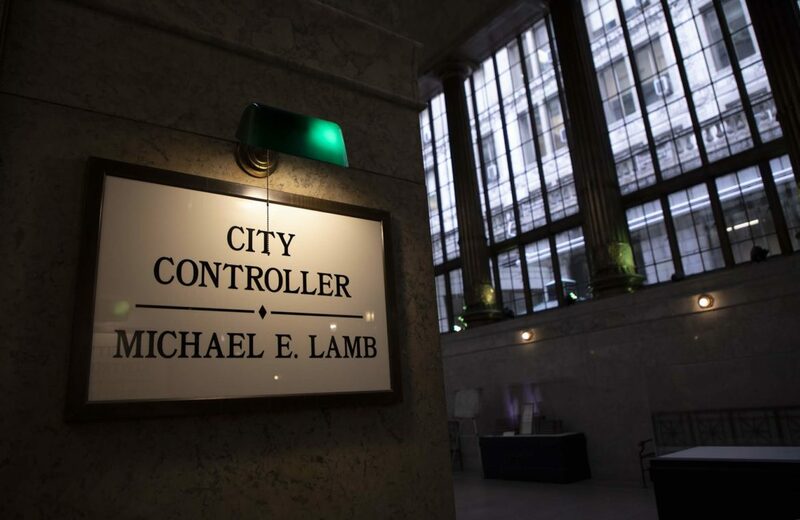 So, for nearly a decade, Lamb’s office has managed Open Book, a one-stop website that catalogues Pittsburgh’s contracts since 2000, along with how much money the city has spent. In theory, Open Book is a transparency advocate’s dream. The application helped gain Pittsburgh “emerging” status in 2013 when the Frontier Group and U.S. PIRG Education Fund published their nationwide evaluation of transparency in city government. But as explained by Ben Davis, a former Frontier Group analyst and co-author of the report, the survey wasn’t able to scrutinize how thorough a city’s disclosures are; instead it focused on whether a city had systems in place that, if well run, would give residents detailed insight on city contracting and the daily use of tax funds. And that’s where Open Book, which thrives on data provided by the city, has some pretty obvious blind spots. For a quick example, try to find “B-Three Solutions,” a Plum-based software firm that city documents show was fully paid for police technology that was not finished. The FBI investigated, as did the city itself. 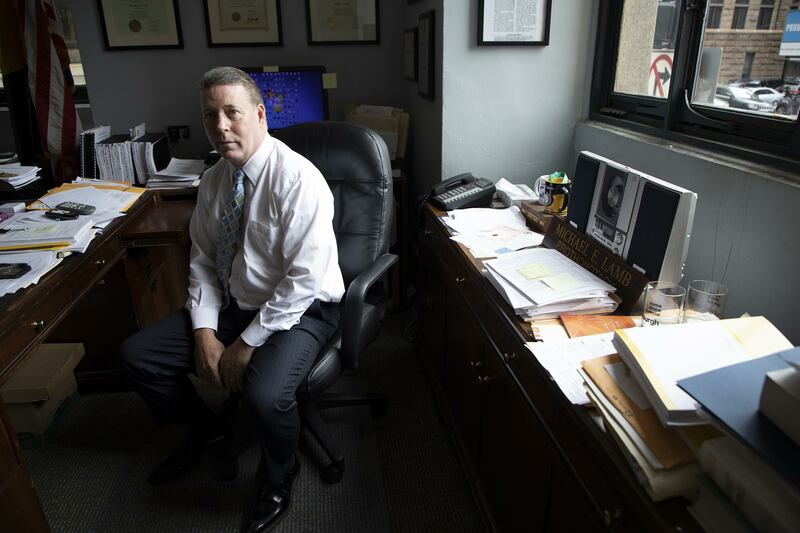 After news broke of a whistleblower lawsuit by a former officer who claimed he found “waste and wrongdoing,” top city officials warned council not to cut off the firm because vital public safety systems needed to keep running. Council approved a maintenance deal to pay B-Three up to $572,640 in the next two years. But searching “B-Three” in Open Book yields no results. No contract documents. Nothing to even suggest the firm did business with the City of Pittsburgh. “I think that’s something that we probably have to be better about as far as how we track those things,” he said. It’s not that Lamb doesn’t have the contract. Rather it’s because B-Three’s contract is a generic document that qualifies the company to provide IT services through a state-managed procurement system known as Co-Stars, which qualifies dozens of other companies to do similarly. So, in Open Book, B-Three isn’t searchable by name; it shows up under the label of “various vendors,” like nearly 300 other contracts in the system. The document is there, but you need a contract number to track it down. “We’ve got to think about how we enter those into our system, but it’s hard,” Lamb said, explaining the difficulty of classifying contracts that cover numerous companies. Open Book also shows residents how much money the city has paid toward a particular contract. Except no spending data appears for 43 percent of the 13,500 contracts, according to data provided in early August. The question marks loom over small expenses like ammunition to big-ticket items like emergency vehicles. That’s well short of what transparency analysts term “checkbook level spending,” though Pittsburgh got full credit for achieving that level of detail in the 2013 survey. In the meantime, residents can request data from the controller’s office. Or they can visit the WPRDC, which already publishes checkbook level data. Still, the WPRDC database is missing something crucial: Who received the payment? It doesn’t say. Pittsburgh’s city government is only one of several entities relying on taxpayer money for its daily business. The closely connected, but technically separate agencies managing urban development, water and sewer systems, public stadiums, parking garages and public housing spend millions in public money. 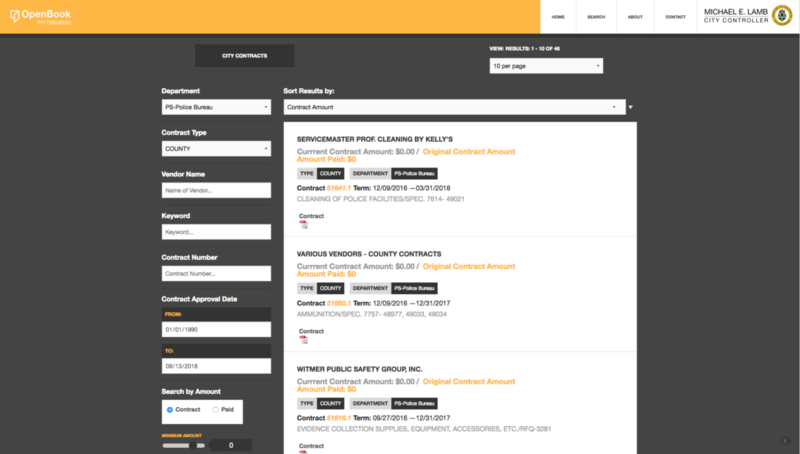 None of Pittsburgh’s authorities compiles contracts online. Nor lists its day-to-day spending. “No, we don’t do that. In fact, I’d be interested to see what the city does,” said Rosemary Carroll, an attorney for the Sports & Exhibition Authority and the Stadium Authority. Carroll said information on new contracts shows up in board minutes, and she frequently receives open records requests from a private company called SmartProcure for detailed information on expenditures. At the Sunlight Foundation, Greg Jordan-Detamore said the Open Data Census ranks cities based on how easily residents can find information without jumping through hoops. It’s “not about filing public records requests,” he said. In Pennsylvania, the Right-to-Know Law process allows governments to take more than a month before providing records (or explaining why you can’t have them). And that’s how local authorities handle things. Ask for it. “You always have the choice to come in and ask for exactly what you need,” said Caster Binion, executive director of the Housing Authority of the City of Pittsburgh. He stressed that the authority is a transparent organization, accountable to the federal government’s housing regulators. And, like most of the other authorities, the Housing Authority posts board minutes online, along with aggregate financial information. At the Parking Authority, detailed financial information is available through a records request, said executive director David Onorato. 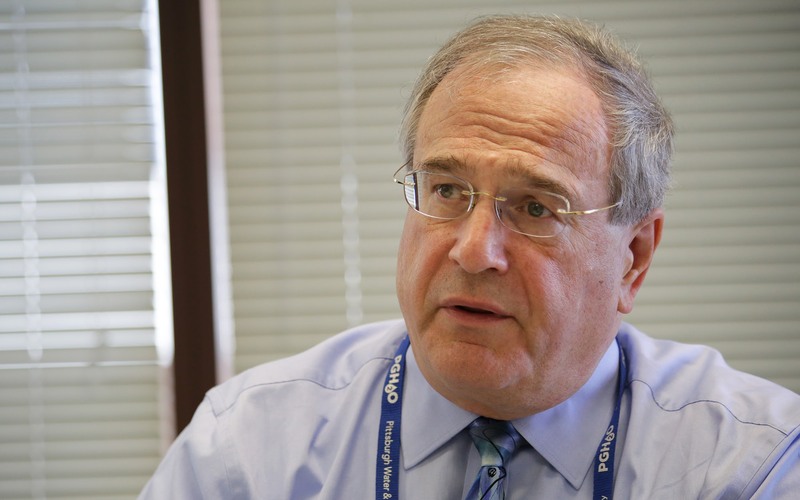 Robert Weimar of PWSA said the same thing, though he acknowledged that the search could be a chore given the messy state of the agency’s archives. A URA spokesperson said contract information was available through a Right-to-Know request. “You’re probably getting a lot of the same answers I would imagine,” said Joe Vallarian, director of communications for ALCOSAN, which provides wastewater treatment countywide, including to Pittsburgh. They, too, require a Right-to-Know request for details on specific contracts and spending. Davis, formerly of the Frontier Group, said he thinks the authorities should be listed in Open Book, just like a city department. Lamb agrees, saying past leadership at the URA “insisted they absolutely wanted to be a part” of Open Book when it launched in 2009. Some expired contracts appear, but the URA does not actively participate. “When leadership makes these programs a priority, they become a priority for everybody. And that hasn’t happened here,” Lamb said. Urbanic, who is also treasurer of the Equipment Leasing Authority, said he would bring up the idea of sharing its contracts with outside vendors through Open Book at an upcoming meeting. 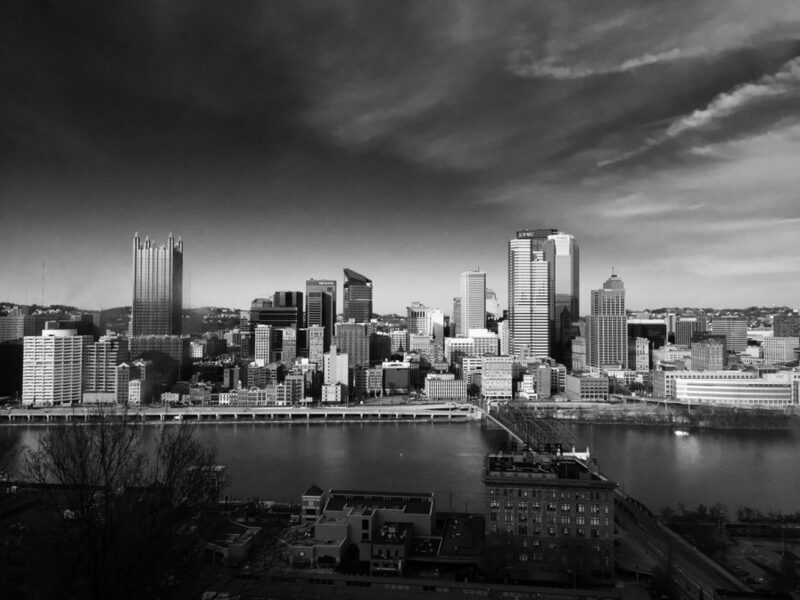 The authority is unique in that it solely exists to acquire and maintain equipment for the City of Pittsburgh. Contracts that show the city transferring money to the authority already appear in Open Book. Officials at seven of the eight authorities said they were dedicated to transparency but weren't familiar with previous efforts to join Open Book. What about those tax breaks? 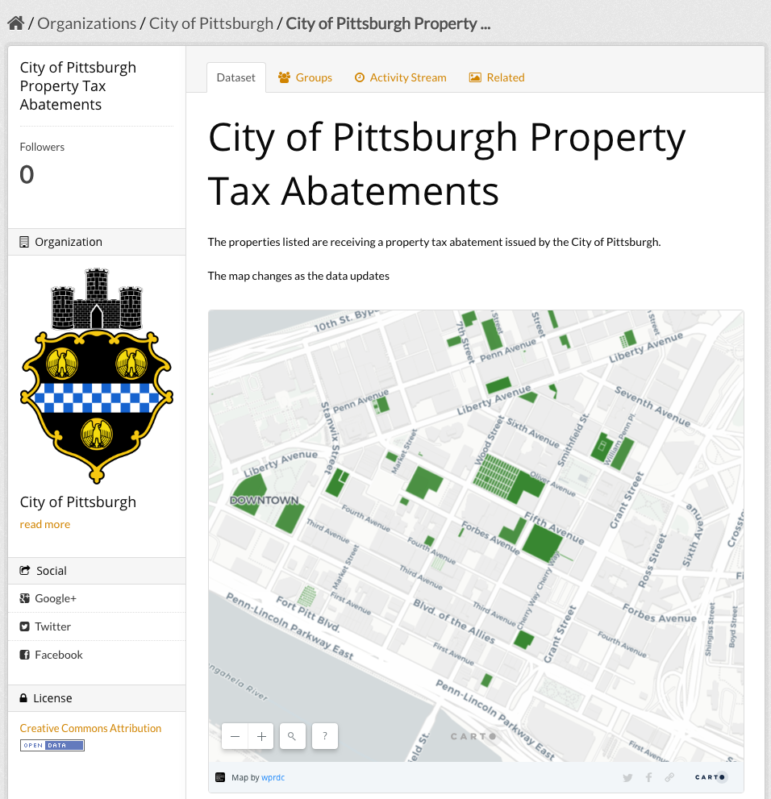 Though Pittsburgh itself gets good transparency marks, one key failing noted in 2013 was a lack of information on “tax abatements.” Think of those as tax breaks given to a developer, business or homeowner to incentivize development. “This money never ends up in the budget because it’s never collected,” says Kasia Tarczynska, a research analyst for Good Jobs First, a government accountability watchdog group based in Washington, D.C.
Tarczynska’s organization sought information from the URA for a national database of tax incentives. They received 18 records from 2015, but had to file a records request. The city, with data from the URA, is doing better since the Good Jobs First request, as some data on more than 1,100 tax abatements is viewable online through the Western Pennsylvania Regional Data Center. But if you want to know who got a slice of the $203 million in breaks listed since 2009, you’re back to square one, unless you click one-by-one through county records linked on another city website. Contrast that to cities like Austin, which posts detailed data on economic incentives, including the name of the recipient and the number of jobs said to be created as a result. She was frustrated last year when she sought details on the recipients of abatements and found that neither the controller nor council’s budget office had the data she wanted. She sent her chief of staff to the URA who found that the information needed to be compiled and analyzed from individual forms. The finance department also keeps abatement data. Portions of it have been online since March 2017, though it lacks information on the Tax Increment Financing program that Gross sought details on. In November, Lamb’s office completed a fiscal audit that found the city did not have adequate information on which tax abatements were active and which were expired. Council is now requiring that an audit on tax abatements be done annually. It’s worth mentioning that Gross likely has easier access to answers on such issues than the average resident. But this scenario shows how crucial access to information is for anyone trying to understand if tax money is being spent responsibly. “Shame on all of us, I think, for never having asked the question and getting answers before then,” Gross said. These are just examples. Data can only be made public if it exists in the first place or if it’s easy to digitize. Lamb said historical property permit records are still in boxes of old, thinning paper. Those would have to be searched by hand. Clark said the city prioritizes data for online publication based on requests from residents and public organizations, acknowledging that there are “sometimes limitations” in how the city stores data. Gross said the city has made progress on the state of its paper records under Peduto. She noted though how outdated the archives were, like when she requested information on “paper streets,” which are city owned right-of-ways that never became streets. “I literally was given a photocopy of yellow-lined paper with pencil handwriting,” Gross said. This story appears as a part of Open Data PGH, a joint reporting project by PublicSource and Technical.ly on open data trends in Pittsburgh.